We started out the week with a holiday weekend: Memorial Day. Here at Red Rubber Designs, we took some time to remember those who have sacrificed for our country and we also celebrated the weekend with a fun sale. Doesn't everyone love a sale? Our Tuesday Tutorial featured a fun, inky technique: Faux Leather. Sarah, our Design Team Coordinator, combined Palette Inks, white cardstock, tissue paper and glue to create a beautiful textured background perfect for any project. Why don’t you give it a try? You can also download a free PDF of any of our tutorials in the Red Rubber Designs store. 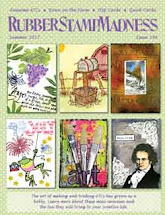 Some fun news: Red Rubber Designs is featured in the June/July 2012 issue of Ready, Set,Create! e-magazine. Check it out! Stay tuned to our blog for another fun Tuesday Tutorial, this time by Paula-Kay. You don’t want to miss it! This Thursday is the First Thursday of June and you know what that means! That’s right: A new stamp release, another fun Blog Hop with our Design Team which showcases our June Spotlight Stamp and a scavenger hunt for you! The month of June is a special one at Red Rubber Designs. Starting on Thursday, all month long (June 7th – July 4th) we are featuring all things Scrapbooking! From our fun album kits to stamps to the must-have accessories for your scrapbooks, art journals and mini-albums – not to mention special sales throughout the month – we are showcasing fun and creative ways to archive your special memories and events. I loved the sale, I am so addicted to grab bags! 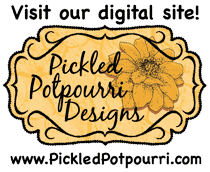 Congrats on being featured in Ready, Set, Create! Looking forward to 1st Thursday.